Britain has relied upon the seas surrounding her for many millennia. Whether it has been for fishing, the import and export of goods, travelling and exploration or for protecting her shores from potential invaders. Occasionally a craft has failed to complete its journey and has sunk below the waves, leaving a wreck. More often this has been caused by a storm at sea, but can also have been caused by an accident (i.e. collision), navigational error or through warfare. Southsea Sub-Aqua Club has a long history of wreck site investigation, the most well-known being "Project Solent Ships" which directly led to the discovery of the Mary Rose, but we didn't stop there. Over the years the Club has developed an association with a number of local wreck sites and some off the Normandy coast. 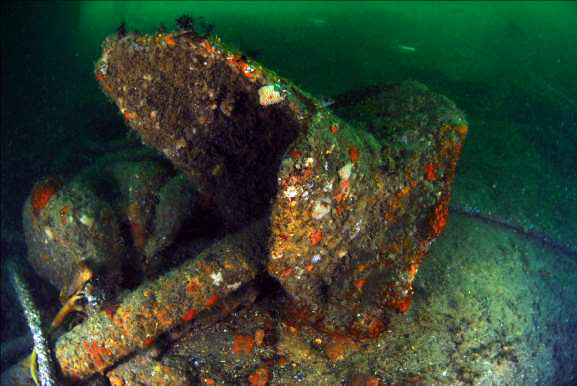 The projects involve a number of different types and ages of wrecks. They include ships, landing craft, aeroplanes, Mulberry harbours, armoured bulldozers and tanks from the two World Wars, as well as older wrecks, much older. Today there are various courses available to help divers to record the sites and various members have completed such courses. They may have been completed within the club or through other organisations, such as the Nautical Archeology Society (NAS) or a University. Some techniques have changed over the years as new technologies have become available. Where once an accurate sketch may have been sufficient, today you'll often find people still using tape measures and underwater slates, but also you'll find some using underwater cameras to help produce stills, video and 3D images. Often local and national news services have become interested in the stories of the projects too. The articles below provide links to the various projects. They include photos and drawings of the sites, a record of the kind of life observed by the teams as well as some history to help bring them back to life. 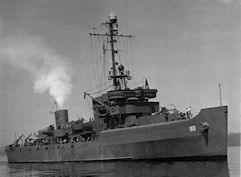 Normandy 70 is an expedition by Southsea Sub-Aqua Club to dive and record wrecks of associated with the maritime phase of WW2 Allied invasion of Normandy otherwise known as Operation NEPTUNE. This expedition was inspired by a BSAC Southern Region initiative (NEPTUNE 70) which seeks to encourage branches to investigate and dive wrecks associated with Operation Neptune in British waters. Following an approach from a group of English speaking divers, “Scuba Ninjas”, from France we are now embarking on a joint expedition to dive the WW2 Normandy wrecks with this group. Scuba Ninjas are a multi-national and multi-cultural group of divers and we are delighted to have the opportunity to dive as a joint expedition. They host a Facebook and web site to provide information and advice to English speaking divers – “Dive into France’. This multinational and multicultural expedition will provide the opportunity for divers from a number of different nationalities and cultures to commemorate the events of D Day and the subsequent liberation of France. This joint expedition has developed fairly quickly but plans are fairly well advanced. We have engaged widely with others including UKHO, with a view to exploring and recording a number of unidentified sites which may shed light on the what remains on the sea bed. We intend to share our findings with appropriate public bodies thereby adding to the public record of this historic event. We are most grateful to the BSAC Expeditions Grant Scheme which has made a grant of £1000 which may be used by the BSAC members to offset some expenses of the expedition, such as travel costs. The team behind this expedition won the BSAC Expedition Prize for 2014. 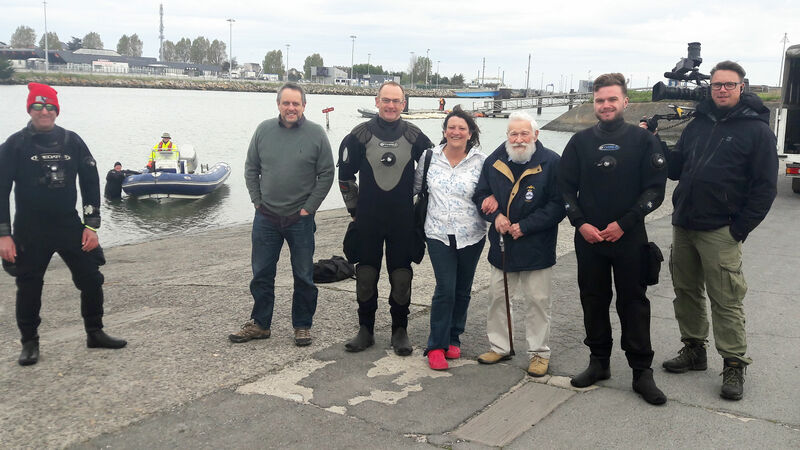 In recent years divers from Southsea Sub-Aqua Club (SSAC) have completed three projects to investigate, dive and record wrecks along the South Coast of England which played a part in the WW2 invasion of Normandy. This year we are planning another ambitious project to survey 20+ sites that are believed to be connected to the Mulberry Harbours that played such a vital part in the supply of troops and equipment the Allied forces. The building of the Top Secret Mulberry Harbours, each the size of Dover was the largest ever British construction project and completed in less than a year. The various components of the Mulberry Harbours gathered along the south coast of England before being towed to France and carefully assembled to create two fully functional harbours within days of D Day was critical to supporting the invasion forces and ultimately the ending of WW2. Along the Hampshire and West Sussex coast alone there are in the region of 30 sites associated with the Mulberry project; from foreshore (construction/slipways), exposed/intertidal concrete units, to fully submerged bridges, pontoons and associated concrete caissons. 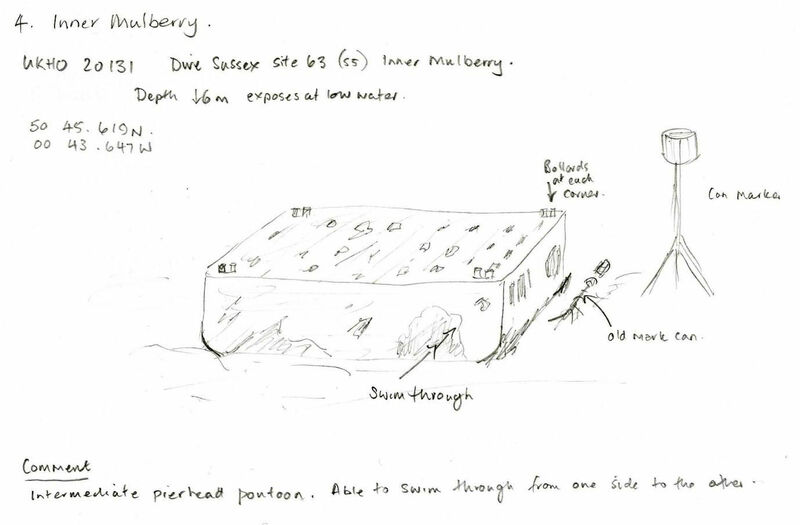 Southsea Sub-Aqua Club plans to provide an accurate and detailed record of these sites thereby adding to the public record of the Mulberry Harbours in British waters. In our discussions with English Heritage, they have confirmed that data held on Mulberry Harbours is very limited and has the potential to be inaccurate. 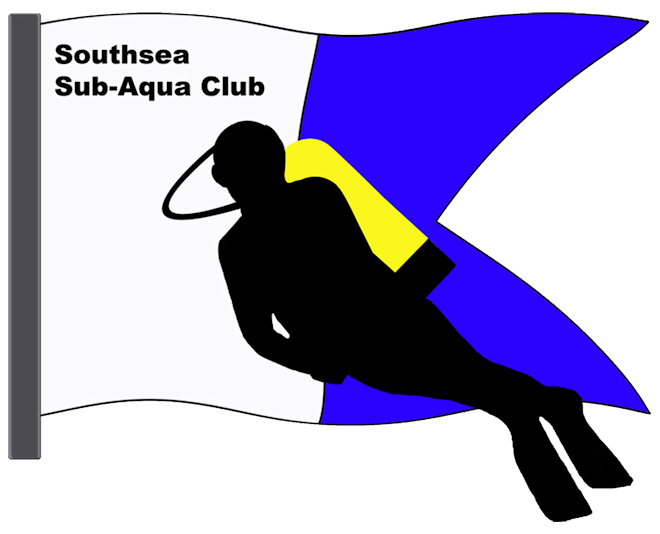 We are very grateful that our project has been financially supported by the BSAC Jubilee Trust with a grant of £1250 which will help defray the fuel costs for the Club RHIB, Southsea Explorer on Project Diving and sonar survey trips. The team behind this project won the Duke of Edinburgh's Prize in 2015, Peter Small Award in 2015 and runner-up for the BSAC's Wreck Award 2015. This was a record-breaking third time that the club had won the Duke of Edinburgh's Prize. His Majesty’s landing craft tank (LCT) 427 sank at 03:03 on 7th June 1944 at Spitbank Gate as she approached her home port. LCT 427 was returning to Portsmouth after delivering a cargo of Sherman duplex drive (DD) tanks to Gold Beach on D-Day as a part of the British lead assault under Operation Neptune. As she approached Portsmouth in the early hours of 7th June 1944, part of a flotilla of tank landing craft, she was in collision with the battleship HMS Rodney. The LCT was sliced in two amidships as she collided with the bow of HMS Rodney. All thirteen crew of LCT 427 were lost in the tragedy. The incident was not officially recorded for some months during which time the LCT and her crew were reported as missing. The exact location of LCT 427 was not known when we began our investigation. The team behind this project won the Duke of Edinburgh's Award in 2012 and the Peter Small Award in 2013. 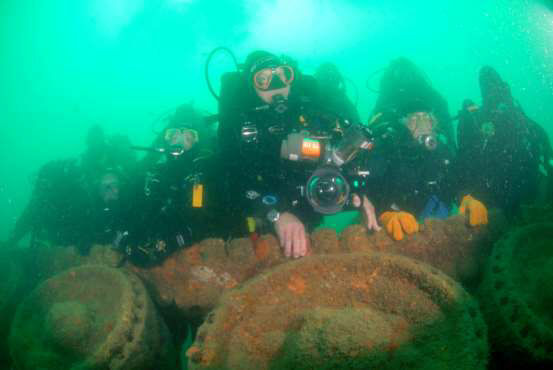 A team of divers from Southsea Sub-Aqua Club will solve the mystery of how two tanks, two bulldozers and a field gun, believed to be linked to D-Day and Project Neptune, came to rest on the sea bed eight miles offshore in Bracklesham Bay, West Sussex. The historic WW2 armoured vehicles and gun lie jumbled up on the sea bed at a depth of 20m but there is no known associated shipwreck nearby. The divers will survey the site to establish how the equipment came to rest on the sea bed. The project, led by Alison Mayor, has the approval of the MoD and a grant from the British Sub-Aqua Jubilee Trust. This project should therefore considered an extension to the original Tanks and Bulldozers Project as it seeks to complete the historical record and document the wrecks as they are today. An update to the initial Tanks and Bulldozers report was produced in 2009 and is attached at Annex A to this Part 1 for reference and as a bridge between the two survey projects. In addition, this report also gives an opportunity to provide details on the further exciting developments of the work previously carried out in 2008 as detailed in the initial Tanks and Bulldozers report of October 2008. The Nautical Archealogical Trust project has been published here. In June 2011 the Nautical Archeological Trust published a report regarding this wreck "An Assessment for Scheduling in the Marine Zone". You can download a copy of it from here. A1 was the first British-designed and built submarine. 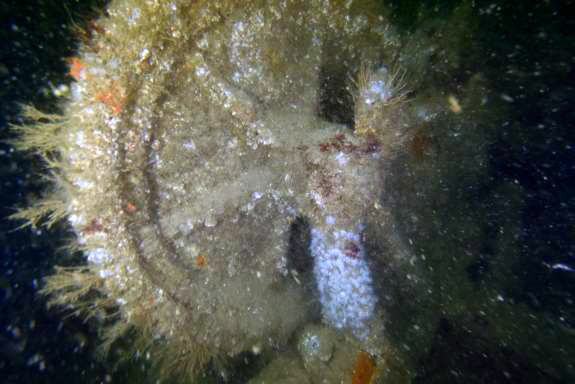 Although the Solent area wreck site of A1 has been known to a lot of divers and the marks published in many a book, the site has been off limits since its designation as a protected wreck in 1998. The combination of a new wreck to visit and the sheer importance of visiting such a historic wreck generated a lot of interest from within the club. In 2006 when we had enough qualified members to carry out survey work - some are NAS trained while others hold the Marine Conservation Society's "Seasearch" survey qualifications - we were able to survey the wreck. 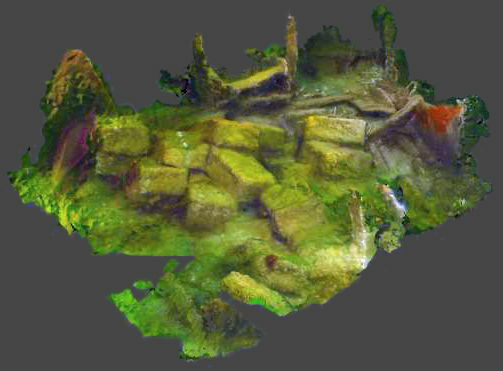 The survey was divided into two main areas: the hull structure and the marine life found on the hull. SSAC Diving Officer Martin Davies is the licensee. A number of divers have recorded and published videos on YouTube of their visit to HMS A1 over the years. We have created a playlist on our YouTube channel showing some of them. The videos have been arranged in order of when they were recorded or published (when the recording date is not clear), with the oldest first.